A young researcher from Lleida has managed to patent a very new aqueous compound that functionalises and changes the entire set of properties of the paper as well as any other cellulosic material too. This compound uses natural enzymes that replace the conventional chemical reagents and is also biodegradable not harming the environment at all. It can be easily applied in the production processes and does not require added investment. This massive innovation in technology will make easy the creation of newer paper products that have a high value attached. This time now, the organization which has begun applying the technology has been able to make waterproof paper. Biotechnological use, devoid of chemicals and harmful reagents, is preferred as recycling becomes difficult otherwise. 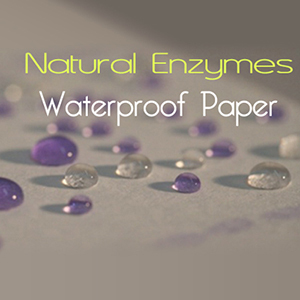 The paper made through this process renders it functional across an array of properties: being hydrophobic and antioxidant or behaving like a barrier. This is however expensive as there is an introduction of enzymatic treatments that will alter paper (new products from cellulose).While at the industrial process, production must be kept at a halt to create an enzymatic reaction. This new compound is patented by Cusola and sticks to the surface of paper and thereby alters its properties. This can be rapidly put to action without having to put a halt to the ongoing production line. The new compound patented by Cusola adheres to the surface of the paper and instantaneously changes its properties. 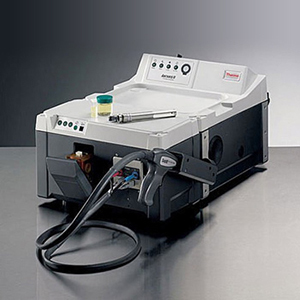 It can be applied immediately within current manufacturing systems without stopping the production line. Cusola and CELBIOTECH paper research group - Universitat Politècnica de Catalunya · BarcelonaTech (UPC) have done related work that is streamlined to the innovation that makes paper hydrophobic without usage of reagents. This study group has also has tried experimenting with cellulose-based textiles in order to check efficacy of the new product. One major success was that a baby’s bib was turned into waterproof material on one side by just a spray of the product on it. A lot of chemicals and energy will be saved by this process innovation. Transportation costs will reduce as the compound can be concentrated for an easy distribution. Biotechnological methods that are environment friendly is the tool used to innovate – newer products that use value from cellulose substrates revolutionise paper’s properties. If we look at the market, we find about 2900 various types of paper which are not being used for writing purposes. This is the age of electronic publications and likewise the trends in the international paper market are to alter the properties of cellulose to arrive at newer uses and applications. Examples: Rendering paper properties of plastics and other petroleum products so as to manufacture biodegradable food cartons; making paper totally antioxidant so that it can keep food for longer; changing paper's properties to make it sufficiently waterproof for manufacturing cups without adding paraffin; and adding antibacterial substances to produce infection-proof dressings.